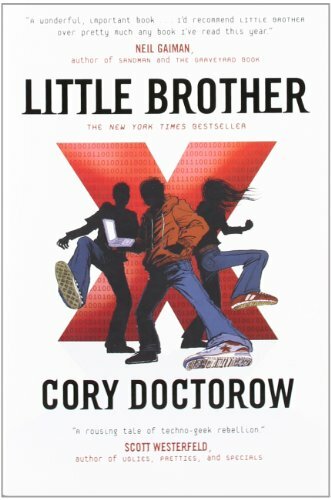 In a move reminiscent of South Carolina’s months-long battle over Fun Home at the College of Charleston, a high school principal in Pensacola, Florida last week cancelled a One School/One Book summer reading program because he thought Cory Doctorow’s Little Brother was inappropriate for 9th and 10th grade students. I’m hoping you guys are intrigued that there’s an adult in your life who thinks reading this book will somehow harm you. I hope that will make you want to read it. Your principal hasn’t destroyed this book but has destroyed the chance to discuss this book and talk to each other. When you censor a book, people want to know why you’re censoring it. And they want to see it. Thanks to his open-access philosophy and the generosity of his publisher, students will still be able to do just that in spite of their principal.